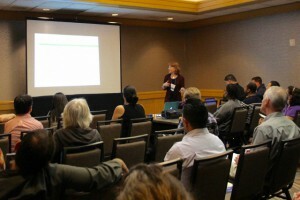 Costa Mesa, CA, March 4-6, 2016 – The Genocide Education Project introduced its curriculum to scores of California Social Studies teachers at the March 4-6 conference of the California Council for the Social Studies (CCSS) at the Hilton Orange County. GenEd presented two teacher training workshops and an exhibit booth providing practical resources and advice to help teachers incorporate this subject into their coursework. 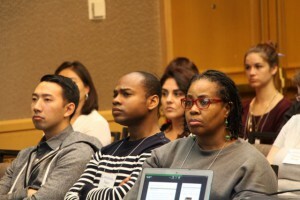 The combined workshops attracted 60 high school social studies teachers. “I was gladdened to see so many teachers attend our workshops, visit our exhibit booth, and display a deep interest in and commitment to teaching this topic,“ said workshop leader, Sara Cohan. The workshops included “Ten Stages of Genocide,” covering the process of genocide, beginning with the stage of prejudice and concluding with extermination and denial, and using examples from the Armenian Genocide and others. Cohan highlighted the possibility for communities to derail the process at each stage. In the workshop “The Armenian Genocide: A Centennial Perspective,” Cohan described how the first modern genocide was carried out and examined its lessons as an archetype of genocides in the 20th and 21st centuries. 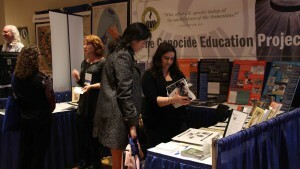 A CCSS conference sponsor, GenEd provided publicity about Armenian Genocide education in the conference program and in the complimentary tote bags provided to all conference attendees. Many requested additional materials to build their own curriculum. Cohan and GenEd board member, Roxanne Makasdjian, were joined by Orange County area GenEd volunteers, Lori Karaguezian and Taline Jermakian. In the weeks preceding the conference, Karaguezian has reached out to more than 340 Orange County social studies teachers, familiarizing them with GenEd. CCSS is the largest state professional social studies education organization for teachers, administrators, and curriculum specialists in California. 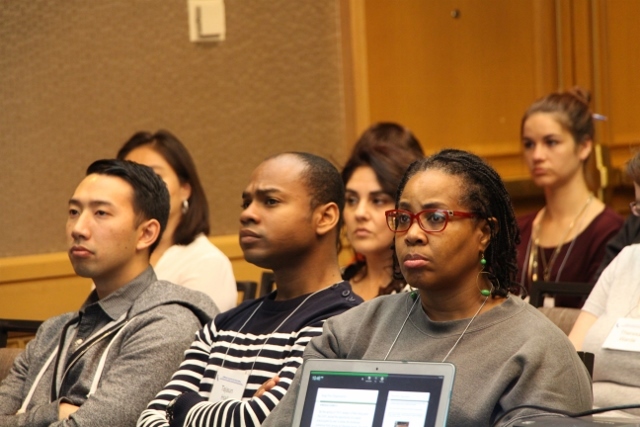 Its annual conference attracts as many as 1000 attendees.